(CNS): The body representing local businesses in the tourism sector has warmly welcomed comments by the opposition leader to drop rollover and called on the premier to take up the suggestion. In the wake of the call by Alden McLaughlin in the Legislative Assembly on Wednesday, the Cayman Islands Tourism Association said abandoning the seven year term limit on work permits was one of the most pressing issues among its members and one that the organisation sees as a priority for turning round the fortunes of the industry. Speaking on Friday afternoon on behalf of the association, Trina Christian said the industry was about to lose a quarter of its workforce to rollover and asked government to act on the PPM leader’s call. Often considered the party that was preventing reform for immigration, the PPM's call for the removal of the controversial policy will, CITA hopes, leave the door open for the government, which has said it backs immigration reform, to remove the term limits before critical people leave the islands. Christian, the association’s Executive Director, explained that for tourism rollover has presented particular challenges as employers are rarely given key employee status for staff that they often perceive to be crucial to their operation because of issues of loyalty, customer service and recognition. She said the industry is people oriented and individual employee personalities are often an intrinsic part of the service for some local operators. Despite the industry’s efforts to train and employ locals wherever possible, nine times out of ten, Christian pointed out, work-permit holders who were forced to leave were replaced by other ex-pats. She talked about the impact on individual small business and noted at least one restaurant that would be losing some 15% of its work force this month, which presents incredible challenges. She added that CITA welcomed the opposition leader’s comments and called on government to seriously consider the proposal to drop the policy. Christian emphasised the importance of loyalty, which is needlessly lost because of rollover as employers see their best people forced to leave when the employees don’t want to leave and employers really don’t want them to leave. Given the nature of the industry, very few people return after twelve months as they find work elsewhere and settle down again. “More often than not, the island loses two good workers when someone is rolled over as they take their partners with them,” she said and noted that for tourism the recruitment and immigration challenges continue to be far more difficult than in any other sector. During his response to the premier’s budget address on Wednesday McLaughlin, who said his party had supported the policy in the past, now believed that while rollover was achieving its objective it was doing so at too high a cost and a new solution needed to be found. “The rollover policy has succeeded in its objective at considerable social and economic cost,” McLaughlin stated. He said that eight years after it was introduced there was still widespread dissatisfaction with its workings and its effect, both within the immigrant population, which is subject to it, and among Caymanian employers. He said it was time for the Cayman Islands to abandon the rollover policy in favour of a more business friendly, socially acceptable and equitable policy. “We understand that not everyone who comes here on a work permit will be able to remain here indefinitely and we are not suggesting that, but we believe there is a better way than that afforded by the present system,” the opposition leader said as he explained his party’s new position. “We propose that the present legislation which imposes a 7 year term limit on all work-permit holders except those who are key employees be repealed. We also propose that the concept of key employees be repealed. He said those who are granted permanent residence must have the capacity to be good, contributing members of the Cayman society and have the means to look after themselves. “The premier says he constantly worries about the declining population. We call on him and his government to stop tinkering around the edges of the current immigration legislation and bring a bill to this House which will abandon the rollover policy, which he instituted 8 years ago, in favour of the more equitable, socially and economically acceptable alternative which I have just outlined on behalf of the opposition,” McLaughlin added, stating that he believed addressing immigration would help local businesses through the present dire economic times. Although workers are very important to boost up Cayman's tourism and other industries, it is only as good when they actually take up those that are part of the community, meaning immigrants. If other countries have good entrepreneurs, so do we. I know that thisis for the good of Cayman but the well-being of the people should also be considered. With respect, I am really not clear what Alden is saying. I am sure that we can all agree that it is fundamentally important that we all think and act carefully and objectively regarding Immigration policy and practice, (with the big picture in mind). Technically, it is very arguably the position that the suggested timeline is also wrong insofar as it is outside the provisions of international law, (by which we are inherently bound) – please see my next comment for my reasoning. Also, does it really matter, (from the perspective of our non-Caymanian residents and the businesses which operate in the Cayman Islands), whether the effective period is 7 or 8 years? What of the inherent period of time which persons should be reasonably allowed to appeal anydecisions taken, as well as the period of time which they should reasonably have to make provisions for any move which they are required to make if they are unsuccessful in the application process, (during which time they have a right to remain on island & may well obtain an automatic right to remain, thus rendering the proposed two year consideration period completely null and void)? Is it now more fair and equitable for people to have a clear understanding of the possibilities from the outset? Do we know objectively, based on comprehensive empirical analysis, that the “rollover” is a real reason for economic struggles? Have we forgotten that the entire world (with few exceptions) is suffering under economic stress at the moment? Is it not fair to say that the immigration policy in Cayman is very comparable to immigration policies inwhat are considered some of the most progressive democracies in the world today? Are we convinced that perhaps what is lacking, (for whatever reasons), is not a comprehensive focus on carrying-out the terms of the present legislation, as closely as possible, within its stated terms? Should we not be prioritizing on ensuring that our limited resources are geared towards more definitive methods of potentially enhancing the Islands’ economic potential? Yes anything to get this foreign tyranny from around our neck we simply can’t be the world’s employer. Way to go CITA Key employee status is a BIG scam dream up by the Foreign Cartel who want to undetermine and circumvent your immigration rules. Times up to the foreign Cartel’s menace getting their jollies at the expense of the Caymanians. Cayman stop supporting politicians who are not acting in your interest and speaking fine words to deceive you. Glad to see Steve Broadbelt is speaking up, because Johnny ain't saying any thing. How come johnny hasn't consulted with Truman Bodden on this. Johnny stay silent, we all know where you headed for next election. Re: "the many uneducated, backward, and regressive people that make Cayman a hard sell for both tourism and expats"
Yes … we really ought to strive to mimick and copy the culture and values of many in our expat community. Here we witness a scene oh so common in our beloved "mother country" today – play close attention to the egging on by the crowds. Such a great demonstration of the passing on of class and self-respect to the younger generation. * The day we begin to witness anything remotely close to such savagery and classlessness in my Cayman Islands is the day I will allow such narcissistic and hypocritical opinions of my people to go unchecked. Now since Whodatis has admitted he is only half-Caymanian, we are starting to understand the psychological basis for his self-loathing especially when paired with his attitude towards women (look back at the archive there are some doozies from him on there). Freud would have a field day. Kung Fu Iguana = Deflector Extraordinaire. Pretty weak attempt at the other attacks as well – "half-Caymanian", "self-loathing", my "attitude towards women"? Well, at least you're paying close attention. Stick with me buddy – you may learn a thing or two. ….Everybody was Kung Fu fighting; those post were fast as lightning; it was a little bit frightning…..
Come on guys, kiss and make up. We need everyone on the same page if we are going to stop you – know – who! Is Voldemort hiding in Cayman? Does he have a work permit? I hae learned that beneath your anger and resentment there is not very much of substance. Maybe we need to talk about the Chagos Islands a bit more . . . If you really want to level the playing field how about making work permits industry instead of emloyer specific? Employers can still be protected for reasonable costs through employment contracts however they won't get the greatly valued and often abused effectively indentured employee. The only reason the employer based permit is being retained is every decision maker has a company where they employ expats. Lol @ some of the comments on here! So many are claiming that we Caymanians are such an uneducated, backward and regressive group, but at the same time you are taking sledgehammers to the policies that prevent us from being overrun in our own country. If we are so horrible then why the 'hard-on' to become a member of our community? Why would you want to plant roots here in this horrid place and render your future generations devoid of your wonderful and superior culture and homeland? P.S. This post was not directed to every expat living in Cayman – only the offended ones. Funny that your post only underlines the many uneducated, backward, and regressive people that make Cayman a hard sell for both tourism and expats(workers who will show up and do the job). Try to get it into your head that this is not about people who want to leave our superior homeland forever just for the pleasure of displacing you in your inferior one. Its about Caymanian business owners haveing the ability to offer good service for the money and keep tourist comeing back. Like in most other countries most workers want to stay as long as it works for them and their employers and then leave. Its NOT about status. Your not doing Cayman any favours. Hope this helps you to better understand the issue. It's not about status until it is about status. One day when people have been here 15+ years without any permanent rights someone will take us to court and win and a slew of others will follow. It will be too late then. As for the stupidity about superior and inferior homelands – it sounds very Hitleresque. Actually, this sounds Hitleresque, to borrow your word " ….if this particular category of new "Caymanians" continues to grow at the rapid rate as it has, not a single one of you will want to be here to experience the societal conflicts that are sure to come. History has demonstrated the ultimate result of such backwards thinking via countless past atrocities." I'd like to think you would have a problem with threats of violent atrocity based purely on nationality and race and justified by the fact that they have happened before, but it seems you reserve your indignation for the stupid, not the sinister. Dude … you are one seriously sick individual to even pretend to believe that my words amounted to "threats of violent atrocity". Why do you waste what clearly is a sound intellect on such dishonest and shameful tactics? You, my friend, are much much better than this. I see you're still with me. Unfortunately I am not "pretending" anything. Your words are there for all to read; you wrote them, at least have the moral courage to stand by them when challenged. Self-serving group! Is this the same CITA that wanted us to make waiters, bartenders and watersports personnell Key Employees?! The Tourism Industry is perhaps the biggest "consumer" of the transient labour pool. This translates: they don't hire caymanians! I never find a group with more reasons why natives should not be hosts in their country. "Self-serving group! Is this the same CITA that wanted us to make waiters, bartenders and watersports personnell Key Employees"
Where are we to get service personell like these when Caymanians DON'T WANT THESE TYPES OF JOBS? So how big is the line-up of Caymanians to sling beer by the pool? Exactly zero. Not one applicant. There is no one at Immigration that will back up what you say with a report of a Caymanian being denies a waiter's job. well ole chap…i don't know about thankful but i can sure as heck prove ya wrong. I would name them (my friends) who have applied and shame dem hotels and restuarants that have denied them. Caymanians stop applying long ago. More over, there is a strong reason why Caymanians don't apply, because these jobs are never advertised…guess who was instrumental in dat? CeeeTA (CITA)….prove me wrong? Listen to me ya man, this is a pile of hogwash. Our people apply for jobs at Ritz. Well they are first sent to a website to apply. Then they are sent a phyco-analysis "thingy" to complete and then the big result: an electronic email from the Marriott Corp (which I believe owns the ritz) that simply says: we are not pursuing your application any further. No feedback, no reasons…nada. It is only in the Cayman Islands that such practises could take place and continue placidly with the natives. But the right people soon run….I got my eye on one from west that I know well: he nah throw his hat in before, but I hear rumblings: if that young man runs, I am betting he will be unna coco-tea. He is articulate, well known, very knowledgeable and often over-looked…someone told me he from the Northwest Point area…I hope he reads this, but young man start to believe in yourself and know that many knows that you know and is like me, believes that you have what it takes and will not sell your soul. Thankful got it right: CITA is self-serving and the transients in that body that has penetrated and has spewed their selfish ideologies don't realize the damage they have done to this Industry by systematically fustrating Caymanians. But I hold our leaders accountable. And all the Caymanians who sit in that body and remain silent. I know of expats come brag to my face and tell me that they knew nothing about bartending (as example) before they came…am thinking of two canadians I know ( nothing against canadians) just making the point; yet, they were given jobs. A caymanian meanwhile, is held to have to having six degrees and 5 years expeience….to bartend. Wha happen, we can't lie good enough must be the issue. I know of Caymanians who have applied for waiter jobs and were denied. They changed their nationality, name and kept the basic same qualifications and were called for interviews….. Listen man, I could go on all night…but I going back to my blue mountain brew. In two years rollover won't be a problem. The US tax laws will take effect and there will be no tax advantage for companies to operate or have offices here. They will be able to operate cheaper elsewhere were electricity is one fourth the cost, gasoline and food are half the cost, crime is under control and the weather is a little cooler. Yes, all these companies and their employees will leave for greener pastures leaving us with a large hole in our economy. Then who will employ you whether you are educated or not? I can tell you that it won't be Civil Service and it won't be Dart. Arrrr, you don't see people eager to stay now, let alone in 2 years. It's already "all hands abandon ship" ain't it? Arrrr…. Travel light, spend little, save a lot, have a resume always ready. These are the keys to working in Cayman today. I guess I have to make the personal choice. The arrival of US Tax laws in 2 years, Renewal of contract in 18 months, Independence within 5 years, Roll over in 7 or the rising sea levels overtaking the islands within 15 years. I cannot understand why there is so much uncertainty for future plans and investments here! whos up for some 'non-pc' honesty and straight talking? the reason that businesses don't want caymanians is because they are poorly educated and have a poor work ethic…. i know this is a generalisation but in general this is true….ask any business owner…..
if you want proof of this just look at the biggest employer of caymanians….the civil service! Actually it appears that your ignorant, prejudiced attitude may be the reason certain businesses do not want Caymanians. Like you they assume that in general Caymanians are poorly educated and have a poor work ethic rather than treating people as individuals. One of the biggest employers of Caymanians is CUC. In that organisation Caymanians have risen to the highest levels because they were mentored, trained and given the opportunities. "One of the biggest employers of Caymanians is CUC. In that organisation Caymanians have risen to the highest levels because they were mentored, trained and given the opportunities." But CUC isn't a company that is required to compete, either locally or internationally. CUC's training of Caymanians is to be applauded, but they do it without any constrictions by the marketplace and we as consumers of their product pay for it. All of it! You seem to be implying that the Caymanians who have risen to the top are not good at their jobs and would not compare well to expat counterparts. I am hope I am wrong. Ernst & Young is another firm where Caymanians have excelled because of appropriate mentoring etc. And that is a firm which is required to compete both locally and internationally. I did not intend to imply that the Caymanian employees of CUC are not good at their jobs. On the contrary, they are. I was merely pointing out that, unlike most private enterprise here, CUC has the luxury of being amonopoly. The Ernst & Young example you provided was better, but the same is true of Deloitte, KPMG and PWC. Top flight Construction firms have similarly impressive records but it won’t prevent them from being run out of business if the MOU with the Chinese is taken to it’s logical conclusion. The construction industry is the third leg of the economy that employs those that have not done so well in education. The Chinese will bring in man camps and fill them from their own rural hinterland. It will be a disaster for Caymanian contractors and employees both. "…the same is true of Deloitte, KPMG and PWC". I beg to differ. Their track records are very different although more recently they have made strides to correct this. I think you have proved that your comment about monopolies was entirely irrelevant to my point about giving Caymanians the mentoring and the opportunities. It seemed like a lame attempt to evade that point by deflection. "the reason that businesses don't want caymanians is because they are poorly educated and have a poor work ethic…. i know this is a generalisation but in general this is true….ask any business owner"
As the old axiom says "perception is reality". Unfortunately, this is the perception many people have. The solution is to change that perception and the only ones who can change that perception are Caymanians themselves. As an educated, professional Caymanian, I find your statements to be insulting and abhorrrent. How can you generalise one nation over the other. I could turn the coin and say why are a lot of expats in our country? Is it because they could not qualify for a job or for that matter even find work in their own country which I am assuming could be relevant to you as well? I know of people working here in menial positions who were teachers, nurses, doctors etc in their country. That speaks volumes! Sure Caymanians don't want the menial jobs but who would if they had a chance at something else. The problem as I see it with some Caymanians is that somewhere along the way the parents gave up and gave their children a sense of entitlement. Entitlement meaning, "because I am Caymanian I should have the job whether or not I have the education or qualifications." This has to stop and it has to be a collective effort on the part of parents, the government and the education system. Kicking kids out of school with a leaving certificate instead of trying to catch them early in their educational experience and turning them around to graduating with honors is the wrong thing to do. Our educational system and to a large degree, our parents degree have failed us. We need to get back to basics while the numbers are controllable. Instead of putting out 300 unemployable students every year, lets set a goal to turn out 300 well educated and ready for college students who will change the misconceptions and will be able to demand a job based on their qualification and educational experience. Demand excellence and get highly skilled qualified Caymanians entering the work force. As far as the roll over policy, I am one Caymanian who has never supported it. I see what it has done to businesses. We have lost so many people who called Cayman home, built houses, bought their cars, furniture and groceries here. The roll over could not have hit us at a worse time and has led to a contracting of our economy at a recessionary time when opening our pockets and spending has never been more crucial. When no money is circulating we become stagant and businesses fail. We see it every day and its time to let this roll over policy die a quick death. @14:03 Did you even read the post from 11:19? "… thesolution is to change that perception and the only ones who can change that perception are Caymanians themselves". You make this all the responsibility of Caymanians. That would assume that the perception is accurate and free from bias. Caymanians cannot change someone's bias. "Caymanians cannot change someone's bias"
Of course you can. It isn't easy, it takes hard work and perserverance to prove someone else wrong. On the other hand, it is always easier to sit back and complain. Then you don't understand the nature of bias. Bias is not based on reason but on human emotions. It was not formed on the basis of accurate observation and will not be displaced on the basis of accurate observation. Check your fact and let the readers know since 1950 – 1996 where did majority of the employee in the Hospitality Industry come from? Please, get your fact straight Caymanians built the tourism industry and that is a fact. I am all for getting rid of the rollover policy if it will improve the way of life for all Caymanians and eliminate the unemployment of Caymanians. With few natural resources, the citizens of the Cayman Islands looked to the sea for employment. Over the years, Caymanian sailors earned reputations as some of the finest ship's captains and seamen in the world. In 1900, more than 20% of the population of 5,000 was estimated to be working in the world's merchant marine fleets. As late as the 1950s, the government's annual report said that the main "export" of the Cayman Islands was seamen, whose remittances were the mainstay of the economy. The tourism trade was kicked off in 1937 with the arrival of the first cruise ship, the Atlantis. In 1950, Englishman Benson Greenall was the first to realize the tourism possibilities of Seven Mile Beach. He constructed the first hotel; several others were constructed in ensuing years. An airfield was opened in 1953 on Grand Cayman, eventually replacing the seaplane service that had been in operation since the 1940s. More than 340 of the 450 well-heeled passengers [of the SS Atlantis] came ashore for the day [on 22 February, 1937]. Once safely onshore the could view the Island's sights (which included parrots, iguanas, a turtle crawl, and a working catboat) bathe in the sea, and sit in deck chairs on the beach under sunshades. They were regaled with rum cocktails, beer and ice cream. Souvenirs of various kinds were on sale: tortoiseshell, sharkskin, and thatch-work, specially made picture postcards, and Spanish gold and solver coins said to have been recently unearthed in Cayman Brac". Who do suppose provided this entertainment for the tourists? The UDP passed the rollover policy while the PPM vigorousy enforced it,of course the PPM got the blame(stupid)…….Now Alden and the PPM come up with awesome and clever idea on how to deal with rollover policy, Mac and UDP is gonna support this move and then enforce it, and guess what? the UDP is gonna get the praise(smart) …….I've stated here on CNS a few times before that Mac and the UDP is way too clever for Alden and the PPM,you all just watch how things play out.The rollover policy is that axe that was madefor the PPM's back,poor ole PPM. I won't say that I have all the answers with the Roll over policy or with the immigration law. All I know is that 5 years ago there were approx 8000 more work permit holders on islands than there is now. Since the number of expats on the island has dropped, unemployment for Caymanians has doubled. Kicking off skilled, educated and valuble members of society who happen to be expat does not create more jobs for locals or help the economy in any way. In the past, someone may move here with the hopes of one day owning property and setting up roots, but now they come to the island to make their money and take it with them. Very few expats are willing to invest in the island knowing that they will get the boot after 7 years or that their work permit application may be denied every year when they apply to stay. Like I said, I don't have all the answers but I know when something is not working. First, I'd like to point out that dealing with job loss is never easy. I extend my best wishes to all who are currently seeking employment and to those employers delivering the unfortunate news to their staff members that there are no longer employement opportunities available. This is difficult for both parties in the employment relationship. Second, I feel the need to point out that your logic is a prime example of one of the key misconceptions surrounding the roll-over issue. Your argument "since the number of expats on the island has dropped, unemployment for Caymanians has doubled" seems to suggest that twice as Caymanians have become unemployed because the number of expats has dropped. While I agree that local businesses, including real estate, certainly benefit from a larger customer base (Caymanians, expats, and tourists alike), in reality, the primary cause of the decline in the number of expats over the last several years has been the depressed economy; not the roll-over. The massive reduction in available jobs has had much more of an impact on the number of expats on the island than the roll-over itself. The downturn in the global economy, and resulting unemployment, is affecting both Caymanians (who typically remain on island unemployed) and expats (who are not allowed to stay on island if they are unemployed). Current immigration rules mandate that expats who become unemployed must leave the island within a short period of time if they do not find a replacement job. Over the past few years, the lack of available jobs has significantly reduced the chances for an expat to find a new job on-island within the time they are allowed to stay on after losing a job. For a recently unemployed expat, the process of finding a replacement job in the short time allowed has certainly not been made easier by an increased number of Caymanians applying for those jobs or the increased number of applications streaming in from overseas. HR departments are seeing increased volumes of applications and are taking longer to process them. In this employers' market, new positions are taking longer to fill than before, to the detriment of the job seeker. Ultimately, this impacts the recently unemployed expat, who may have found a replacement job in a previously vibrant economy and stayed on-island, is now typically ending up leaving the island. In summary, the truth is that more jobs must be available locally that no unemployed Caymanians qualify for in order to employee more expats. Otherwise, the 8000 expats that you mentioned would have already been replaced by employers. Recall that the roll-over allows employers to fill an available position with another expat if one expat is rolled over and no qualified Caymanian is availalble to take the job. If the economy was at full employment (few Caymanians seeking jobs), this one-for-one trade would keep the number of expats on island at the same level. The roll-over is primarily designed to control the growth of the non-transient population by limiting the number of people that qualify for residency or citizenship. The roll-over is not primarily designed to reduce the number of expats on the island. I can't say for all local's but in general if they want a job (any job) they should be able to get one. It may not be in an airconditioned office working the standard 9-5 and it may require working weekends and holidays but jobs are available. As far as rollover is considered I am on my last year before being kicked off this island, There are very few Caymanian's (if any) that would want a diving instructor/boat captain's job. Hours of work are 10-12 hour days, diving 2-4 times per day and working almost every weekend. Most weeks is only one day off and apart from Christmas we work bank holidays. So most likely my employer will have to say good-bye to me and hire another expat to do a job I am prepared and qualified to do for years to come. Trina is right however "my" customers have part loyalty to the island but more so will actually follow me wherever I go for the year I am away. If Caymanian's wanted my job I wouldn't have been here 6 years but they don't, so give me a piece of paper that say's I have no rights to be ever a Caymanian and I'll stay forever. I love this island and my money stays here. It's not just about owing a home. I pay rent, buy groceries, gas, etc…… Expats and Caymanians contribute to the economy of this island. Delete the expats and you delete Cayman. It doesn't make sense to kick one expat off and hire another expat for a job that most Caymanian's aren't prepared to do. I agree with you. 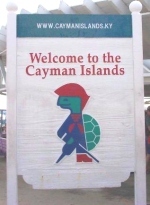 I am a Caymanian and it will be sad to see my expat friends leave. It is even sadder that it has taken so long for the powers that be to figure this out. I agree that expats should be given the right to work indefinitely and can apply for permanent residency when they desire to change that status. However Mr. Diving instructor is right, there will be little to no Caymanians applying for his job as a replacement. Take a look around Caymanians, you have to work hard to get to where you want to go. I am now a working professional with a university degree, however prior to entering the financial industry I worked in various jobs. I worked in sales for ten years, worked at fosters, the restaurants and the hotels. All of these jobs gave me experience. Even after getting the financial industry job, I continued to work at nights in the restaurants to supplement my income. Tips are amazing and you meet people from all walks of life. Am I a typical Caymanian? Probably not. But I do love these islands and do not see anything wrong with working an honest job. Hard work and sweat will get you ahead. Complaining and sitting around for something to fall in your lap will continue the status quo. "I agree that expats should be given the right to work indefinitely and can apply for permanent residency when they desire to change that status". Leaving aside the European Union where EU citizens can move freely from EU state to EU state, no expat in any country in the world is given the right to work indefinitely. That would be the height of folly. I thought Macs deal with the Civil Service was if we can't turn the unemployables into employables than get rid of employables and all you have left will magically become employable. Only a few thousand more to go. So far he is sticking to his deal. Finally, Alden is seeing the light! The Premier and Ezzard have to come on board! This is a policy that in 2003, was composed by the UDP government, and later enforced by the PPM government. Both parties supported this anti-business policy. I am convinced that the rollover policy was not implemented to prevent an increase in population only, but it was implemented because of "fear," fear of the large volume of expatriate workers coming here, outnumbering Caymanians. The rollover policy is a protectionist policy that could segregate us from positive outside influence. The policy has caused the employment sector to lose skilled workers. The Law firms have had recruitment difficulties because of the policy, and dive instructors and realtors have also expressed concerns about safety and losing experienced staff. This is not good for an OFC. I recommend enforcing the labor laws we have now and providing unemployed people with more business / job / educational opportunities. Anything that won't help the civil service will never get done in Cayman. As seen in the latest and greatest budget documents there is nothing for the Cayman people and everything to feed friends and CS. The people of Cayman should be talking directly with the CS tribal leadership and by pass the mouth. I do understand that it is a far from perfect policy, however, to make changes that will result in an "open floodgates" scenario will bring about extremely upsetting and turbulent societal strife in this tiny island nation – maybe not immediately, but most definitely in the future. I also agree that many Caymanians have traditionally shunned employment in the tourism industry, however we must put things in perspective. As an anology let us consider the Great California Gold Rush of yesteryear. At that time, countless "Americans" and "Latin Americans" were heading West and North respectively with one goal in mind – to make riches via personal discoveries of treasure. Not every participant was knowledgable, equipped for or well placed for this endeavour – also many were simply unlucky in their mission. Our economic boom over the past 30 years was our local "gold rush". Everyone had their eyes on the "white collar" jobs and many simply disregarded all other options. Whereas this could be considered a short-sighted and mistaken approach, it was simply a symptom of the times. However, the Cayman Islands and its people are now standing at a crossroads. We must now realize that in order for us to survive as a collective a diversification of our mindset and ambitions is an absolute must. Therefore, to call for a total diversion around this remedy is quite callous and once again a demonstration of shortsightedness on our / outsiders' behalf. Imagine how stupid we will feel in 30 years time as we look back at the socioeconomic mess that very well could come into existence if we are to follow the suggestions being forwarded today. We would have clearly missed a crucial opportunity to grow and mature as a community. This issue is not one of xenophobia or "anti-expatism", but it is one of tremendous importance that will absolutely determine the future of the people of this country. I personally ask for all "outsiders" to respect the sensitive nature of this situation and to sincerely consider it from the perspective of the shoe being on the other foot. To my fellow Caymanians I urge us all to tread very carefully on this one. This issue is not one to be treated lightly. * By the way, why do we not yet have a designated and structured trade / technical institution in this country?! For decades now our politicans and leaders have been obsessed with the "top" levels of employment and ourcollective mindset has suffered as a result. This unfortunate reality is one of the things that pains me the most in regards to my people. Greed is the engine that drives capitalism. The desire each of us has to better ourselves financially is what makes an economy grow and jobs to be produced. The rollover policy severly hampers free-market economics. The greed is still there but the proceeds from the greed often leave the island when the productive person is rolled over. Keep them here to share and invest in this country, not someplace else. Jobs will be plentiful in all sectors. It will simply be a matter of education and training that determines who is best fit to get the jobs. Companies are in business to make profits and to that end they want the best people possible to accomplish that. If that person happens to be Caymanian then he or she will get the job. That is how a productive capitalist economy works. Survival of the fitest. Maybe less emphasis on sports and more on education would be a good place to start. If you want ot compete and win you have to be as good or better than your competition. This rule applies to business and job seekers the world over. "Furthermore, for one to even hint towards the alternative approach in another country, even with tens of millions in population, would be political suicide today – no one can deny this." I would deny this. The alternative approach is practically the approach now adopted in most major economies – try to limit immigration to those with identified skill sets and a job to go to. But there is a valid point here. Too many Caymanians have an unrealistic view of their earning potential. Of a population of 30,000 only a handful can make it at the top of the legal or accounting professions the same would be true for 30,000 Canadians or Englishmen. But we live in a place where 11 students who scraped law degrees complain about not getting jobs in law firms and this issue is brought up in the legislature rather than these kids being told to be realistic. We live in a place where storeowners' mark-ups are based upon calculations of income based on a professional job, leading to high prices and inflation. Those storeowners can milk oligopolistic profits owing to the restrictions on business ownership in Cayman. We live in a place where civil servants complain about "only" earning CI$3,000 per month for relatively menial administrative jobs, which is practically the equivalent of $65,000 salary in the US (once tax is taken into account) and with excpetionally high benefits. Completely unreal expectations. A big problem. "We live in a place where civil servants complain about "only" earning CI$3,000 per month for relatively menial administrative jobs, which is practically the equivalent of $65,000 salary in the US (once tax is taken into account) and with excpetionally high benefits". Of course that is not correct. The cost of living in Cayman is far higher than in the U.S. The purchasing power of someone in Cayman earning CI$36,000 p.a. is far less than someone earning US$65,000 p.a. in the U.S. But I take your point that there are some unrealistic expectations around and this is a major problem. udp, ppm, cita…calling for rollover reform……now get it done! In the good old days, 1950's, 60's, 70's and 80's, hard woorking Caymanians were working in the hotels and restaurants, They met people from near and far, which, up until today those people are still contacting and visiting their friends here. That was the Cayman hospitality that created those frendships. I met a couple at a local vendor and they were there to met locals and chat with them, because they had not met any locals at the hotel/restuarants. They were enjoying themselves hanging out and just seeing and being near locals. The husband saidhe came here to enjoy himself, eat, drink and socialise, but all he met where he was staying were from overseas (other countries). When the proprietors of the establishments are willing to hire locals, they will see the increase in their occupancy. At a number of establisments the people are not even able to understand english, nor answer questions about the island. When you travel abroad, you depend on the help that is available within your confines and expect that the information is correct. At least you would expect the Caymanians to know and give correct info/direction. It is all in the pay. The work permit holder is paid slave wages and has to work extended hours to earn a days pay, so this is why locals are not hired in the hospitality industry. Adverts went in all the papers week after week. Only applications received from foreigners. Unable to force Caymanians to apply. What is a person to do? I don't know you and whether you are sincere or not. But what I do know is that ads are often specifically designed so that no Caymanians will apply for the position. The requirement to advertise is treated in good faith but with contempt. Oops . That should be "NOT treated in good faith". It would also be welcome news to know the views of CITA on some of the recent announcements of the Premier….such as how they think an Oil Refinery will impact Tourisim. And the views of the Chamber of Commerce and the Churches? please explain your point concerning the churches? I believe the commenter is inviting the churches views about the various hairbrain projects the Premier is coming up with – seems clear enough to me. I think you missed the poster's point that these issues have nothing to do with the churches. In any event a number of them have been compromised and subtlely corrupted by the "nation building" donations and will therefore not criticise the Govt. and will urge others not to. It would also be good if the Chamber of Commerce could stop losing everybody's hard earned pension contributions via their pension plan! Ezzard Miller, who has great insight most of the time is wrong on this one. Ezzard stated that he was not sold on Alden's ideas and that he would not change his stance until someone showed him evidence that rollover was bad for the country. I will now present to Mr. Miller the evidence he needs that rollover is a bad idea. The current immigration policies (including rollover) have contributed greatly to our economic stagnation. Ezzard stated that it was not good to have expats outnumbering Caymanians. I have 2 responses for Ezzard. First, if nothing is changed, things will stay the same. We need to at least try Alden's idea to see if there is any merit to it. Caymanians are already suffering very high rates of unemployment but it is not because of foreign workers. Sure there are some jobs that could be filled by Caymanians but the professionals and upper echelon people are need here to create investment and jobs. Giving these people Caymanian status makes them one of us and encourages them to keep their money here. Secondly, when McKeeva gave away about 3000 status grants during his first term he unfortunately gave mostly to the lower echelon of society. The domestic helpers, gardeners, laborers and the unskilled. There were some professionals in the mix including Mr. Dart. Most of these people were from poorer countries which allowed them to live and work here permanently while sending money to their relatives in their countries of origin. Very little of their income is invested here. On top of that, most of these people either have children of school age or are of child bearing age. This puts an extra strain on our infrastructure ie schools and healthcare as we are presently experiencing with the new schools projects in place to handle the overload. If 3000 status grants had been given to wealthy professionals and business owners of a mature age we would be much better off today. It appears that McKeeva is purposely driving this economy into the ground and increasing the cost of living ever higher in order to have these people to whom he mistakenly granted status, leave Cayman. This will of course back fire when the economy is allowed to recover and the inflow of Cayman status holders begins. Don't just end rollover, try to give the expats who have the education, skills and desire to live here a way to do so without fear of being told they are no longer welcome. It is their expertise and ambition that drives this economy. 1. How many born Caymanians are hotel general managers? 2. How many born Caymanian are front desk managers? No, first you tell me how many are equally or better qualified than those who presently hold those jobs. You don't get to have a job handed to you just because of you nationality. You actually have to have the necessary credentials needed by the employer who's goal it is to give his customers the best possible service at the least cost to him. When Caymanians are the most qualified, they WILL get the jobs. A good business person wants the best person qualified to meet their needs whether Caymanian or not. Welcome to the global marketplace. Did you not read the article? 9 out of 10 tourism positions vacated by rolled over ex-pats are filled by another ex-pat even after employers try to fill the positions with locals. Caymanians somehow, for some reason have it in their heads that tourism jobs are beneath them and won't accept the jobs. Nowhere else in the caribbean is this true. Go to the Bahamas, Jamaica, Anguilla, BVI, Dominca, etc. and you'll see many friendly locals in the tourism industry. Perhaps if the 10% of 'unemployed' Caymanians had a more realistic viewof the world and the current work climate they would have a job. I still don't know where this 10% unemployment figure comes from. Are these people available, qualified and fit to work or just a convenient statistic to justify DER's existence? Getting back to to the article. I sympathise with CITA. Since rollover, both the hospitality and the watersports industries have lost some of their most experienced employees. These people left taking with them irreplaceable knowledge of tourism in the Cayman Islands and, in many cases, were replaced by people who are little more than transient labour. Not so many years ago the Cayman Islands were a magnet for well-qualified staff in the tourism and dive industry with job vacancies attracting more applications than employers could handle. Now it has almost come down to begging people to come to the islands because of immigration hassles, crime, the expense and competition from other tourist destinations. I suspect it is now too late to turn the tide, only time will tell. The salary for Dive Masters is CI$1,500 per month. Can YOU live on that with a mortgage? I can't. Waitresses, Tour Guides, and Maids make $8.00 an hour. 45 hours a week @$8.00 an hour is $360 week ($1,440 month) before pension and healthcare contributions. Please tell me Mr. "Caymanians should work in tourism" how anyone can make a living at that wage? The tourism industry should remain a stepping stone for gap-year college students and the unskilled labor force. Wages of under $2,000 a month are not for a family breadwinner, period. You are absolutely right that you who are INTITLED to more can not make it on the money that all the unintitled can. Therefore I seriously doubt you will try. Another reason not to get a job that others will do. I agree and I'm from the USA. Before we had the rollover, companies actually had training and succession planning to hire Caymanians. The rollover has not worked for anyone and should be abolished! Ex-pats feel uncertain and panic for year "seven" and unemployment for locals is worse than ever. The rollover failed. My spouse and I both have top university degrees from overseas and are finding that all the white collar jobs are only expat renewals. The focus to find qualified Caymanians is just not there anymore. I also have good friends that worked very hard to get their PR and they too are being passed over. Overseas recruitment is at an all time high. White collar jobs are filled way before it ever hits the Friday papers. I know it is a fine balance and the blame needs to be laid squarely on Immigration for not enforcing succession planning, the Education Ministry for pumping out sub-standard students and not offering vocational training for skilled trades, and employers for trying to bend the rules. where do you stand on people that have a mortgage here, but no status or PR? Just curious. I don't normally stand on people but if I did I guess it would be on their shoulders so I could be taller than everyone else. Good point, you can show slid risk and investment…perhaps the work pernit renewals should bemore like the PR applications. Show your community involvement and efforts along with investments and "points" added for key renewal??? I think Americans should stick to complaining about immigrants in their own country. I have owned and run my own business in Cayman for over twenty five years and have always hired and trained Caymanians whenever possible. That said, it has always been obvious to me that the harder it becomes to employ a category of skilled worker because of immigration rules, when a recession comes around it is the local that will be let go rather than the work permit holder. When growth comes back it is easier to re-hire the local, whereas recruiting a new expat is much harder. I’m not saying the situation is right, just that it currently works that way. Businesses also fear the Labour Tribunals that nearly always find in favor of the employee. Many members of those tribunals have no legal training or experience as employers. Once again, an expatriate employee is a more attractive solution because one can simply allow a permit to expire without too much bother, whereas the local will often go straight to the DER and make a complaint whether there are grounds or not. The DER needs to improve the quality of the members of the Tribunals so that employers get a fair shake. This will improve employment opportunities for Caymanians. Counter intuitive? Maybe, but I believe these things to be true. Caymanians allready have an edge over permit holders big time. They cost much less to hire, don't need to find housing, buy a car, get settled, and if they don't work out don't need to go through immigration. Jobs are posted for Caymanians, training is available for Caymanians but yes the system is broke. The part that is broke has to do with the willingness to work and to be trained on the part of the Caymanian worker. They have not done their part to convince any business on Cayman that they will do as good or better than an expat for the business. The only way to fix the problem is for Caymanians to get better education and training before looking for work and most important to change the way Cayman culture of today views doing hard work and what is veiwed as meanial servant work (working with a customer) Until this is addressed it will continue on as the People who want the job but don't want to work, feel intitled to the job but can't do it, or just don't want expats to lhave the jobs against the expats (anyone but Caymanians) who have the jobs and do the jobs. You have only to look at the Civil service and how that works(not) to see the problem in action. Are you aware that the US also has a roll-over policy for work visa holders? Nothing guarantees over-priced mediocrity more than to force competitive businesses to hire the merely "suitably qualified". In your heart, do you truly believe that will solve the problem? Simply hire Caymanians and all of these issues will go away? There are some major and complex issues regarding local unemployment and immigration but the first step to solving these issues is separating the two. The notion that local unemployment should be lessened or even eliminated by simply placing unemployed Caymanians in expatriate positions would be detrimental to the economy. Establishing a plan to lower unemployment and provide more opportunities for Caymanians is in everyone's best interest, but the plan in place and the rollover policy don't effectively solve these issues as proven by its track record. Here's a thought…. Why doesn't government create a focus group of 50-100 top employers on the island and ask what the biggest concerns are with hiring Caymanians. Allow for candor and actually listen to what they say and then create a plan that will create change and work. It really shouldn't be this hard considering the diversity of thiseconomy and surplus of jobs compared to Caymanian citizens. Once a solid plan is in place to address the unemployment issues, immigration should be looked at on its own in terms of realistic population growth within the current and planned infrastructure. Then you can establish criteria to allow for productive, contributing foreigners to be granted permanent residence. Damn right – if there is a Caymanian who is qualified and can do my job, I will willingly give up my position. Plus I will throw in a $50,000 starting bonus. Applications welcomed from candidates with a bachelors degree, a masters degree, a postgrad law degree, multiple professional designations and 15 years experience in NYC or London at the highest commercial level. I am sure there will be a deluge of qualified candidates.